Get unlimited private Git repository hosting and support for TFVC that scales from a hobby project to the world’s largest repository. Securely connect with and push code into your Git repos from any IDE, editor, or Git client. Add validations and extensions from the marketplace or build your own using web hooks and REST APIs. Quickly find what you’re looking for with code-aware search that understands classes and variables. 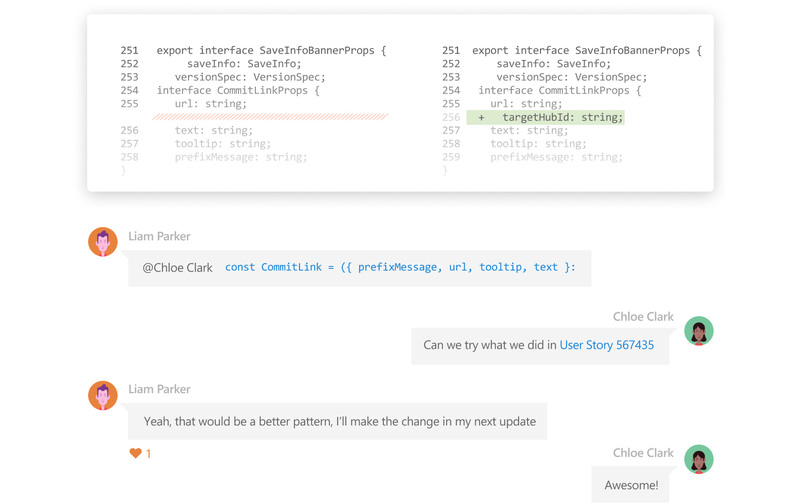 Perform more effective Git code reviews with threaded discussion and continuous integration for each change. Use forks to promote collaboration with inner source workflows. 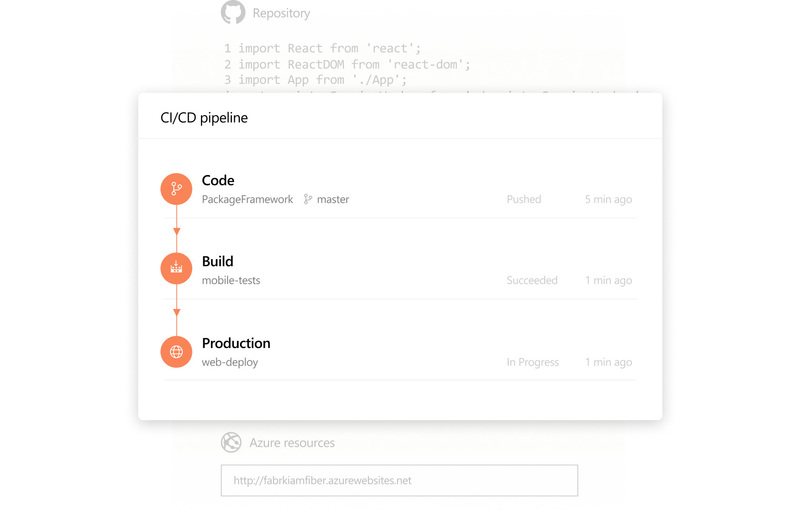 Set up continuous integration/continuous delivery (CI/CD) to automatically trigger builds, tests, and deployments with every completed pull request using Azure Pipelines or your tools. Keep code quality high by requiring code reviewer signoff, successful builds, and passing tests before pull requests can be merged. Customize your branch policies to maintain your team’s high standards. 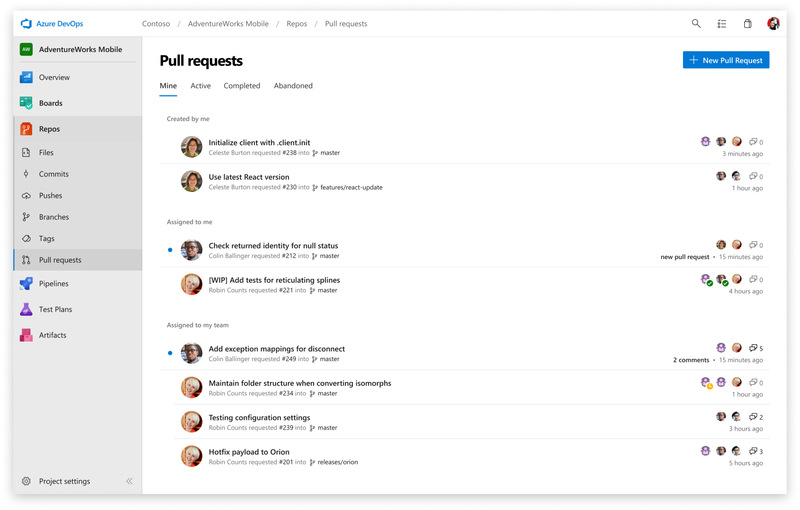 There’s more to Azure DevOps than just Repos. Learn how the full set of integrated, end-to-end tools can empower your team to ship software faster. We can bring new products to market more quickly now that we use Azure DevOps. Everything you love about Git – plus free private repos, social code reviews, and more.